CHICAGO -- A 44-year-old man fell several stories to his death in an apparent accident while trespassing at a luxury hotel in downtown Chicago. 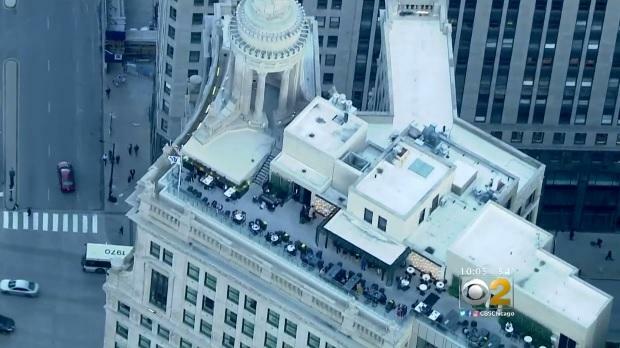 CBS Chicago reports the man was taking photographs without permission when he fell from a 20th-floor parapet wall and struck a sixth-floor rooftop below. The incident occurred around 3:30 p.m. Monday at LondonHouse Chicago. It is a trendy hotel and rooftop bar near Michigan Avenue. Police initially said the victim, who was pronounced dead at the scene, was an employee of the hotel, but representatives of LondonHouse disputed that. His identity is being withheld pending family notification. "He was not a hotel employee. No further information is available at this time. We offer our condolences," the hotel said in a prepared statement. Chicago's alluring architecture acts as a temptation for photographers who often take chances to get a unique shot. Five years ago, a 23-year-old man died while taking pictures after he fell in a chimney at the Hotel InterContinental.